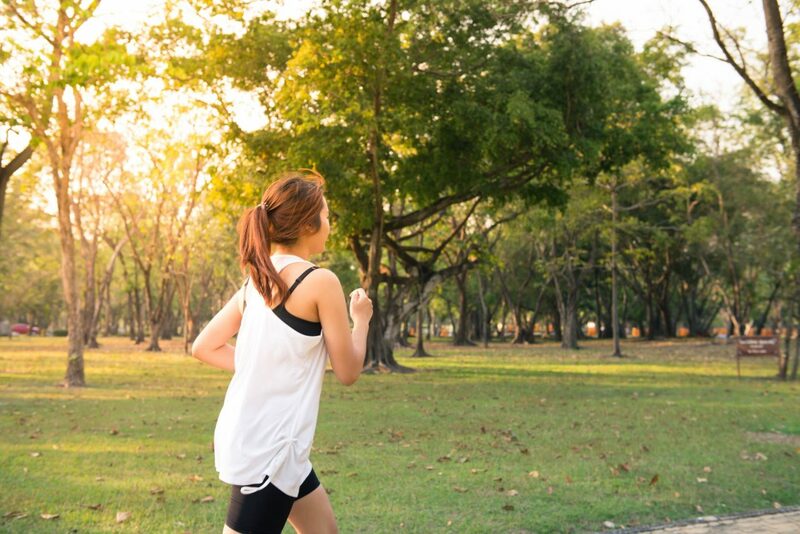 Running is perhaps the easiest daily workout you can opt for. Neither does it require you to sign up for a membership, nor do you need to fear strict regimes. The world is your gym, have a run! But every commitment requires a strong willpower and a gusto. Where shall we find ours? In ourselves of-course. There is not how-to books on just wanting a jog time, but a few changes here and there in our daily lives, so let’s look through it now. It is the first thing you ought to remember. The whackiest idea might be to run in a full dinosaur costume to scare fellow joggers, but a gym tracksuit with proper running shoes might do better to the body. You do not have to purchase the pricier brands for this. Get yourself an affordable track suit but be ready to spend a good amount on the shoes. For jogging, the best running shoes in the game are the safest as we don’t want to the shoes tearing apart during a sprint. Keeping a bottle water during runs is the healthiest choice to make. Water provides natural energy in the body and keeps you hydrated throughout the run. Make sure to have 2 gulps of water every 15 minutes. The presumption that drinking water while running or working out is wrong, is in itself an incorrect idea and should be corrected. Our bodies lose water through sweating and should be replenished immediately. Not having water when thirsty while lead to bad joint cramps that destroys a whole day’s plan. Warming up is very essential before investing yourself into any strenuous work. Warm ups help stretch out the muscles before the sprints so that the body feels flexible. In order to warm up, stretch your entire body, neck joint rolls, knee lifts, hamstrings stretches help in bringing about flexibility and loosens up the body. Warming up also kick-starts the body from the all-night fatigue. Good body training goes best with proper and healthy consumption. The body needs energy and good calories to burn from the run. Food ingredients with insoluble fiber and protein gives the body proper amount of energy to burn and keeps the stomach filled. Often we make the mistake of working out or running with an empty stomach, which can make us fall ill really quick. There should a balanced meal 2 hours before jogging so that you do not feel sick from sprinting right back in action after a plate of food. We should plan out our routes and types of running in order to go for the morning jog. If the heart wants an intensive high, go for the smooth tracks on the sidewalks at down, For a light jog, the public park would do the trick. If required, try to increase your speed and distance steadily by setting up goals for every day. This will challenge and keep you inspired to perform this full body workout without needing a personal trainer. Keep faith in the steady build up. Weight loss or endurance training from jogging come from everyday training. Keep faith in yourself that with consistent investment into dawn or evening jogs, you’ll be able to bring about a strong and healthy change in the body. In order to do so, note down goals everyday. Sign up for marathons or go for sport clubs’ events. his will bring you more experiences as to what the people around you with the similar mindset are trying to achieve through the same fitness goal. Not all kinds of workout are the same, same goes for running. There are different forms of runs, jogging for a light run at the park, sprints for a smooth and paved road, steady speed running to beat calories. You can understand the type you’ll need to incorporate for your scheduled run. This will help you refute any kind of injuries from wrong kind of running, as sprinting at a local park would have you bumping into random people instantly. Try these small tricks and keep a track of your daily calorie loss. Daily practice will provide a steady health and fitness improvement which you will be noticing a month from initiating the routine.